Short and sweet, this book is an excerpt from the upcoming fourth edition of CSS: The Definitive Guide. 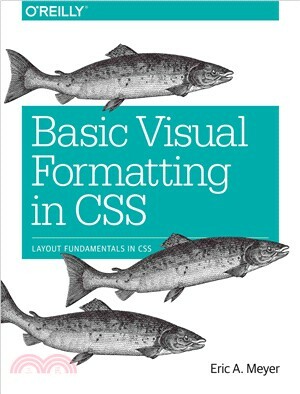 When you purchase either the print or the ebook edition ofBasic Visual Formatting in CSS, you’ll receive a discount on the entire Definitive Guide once it’s released. Why wait? Learn how to bring life to your web pages now. This book is all about the theoretical side of visual rendering in CSS. Why is it necessary to devote an entire book on the theoretical underpinnings of visual rendering? The answer is that with a model as open and powerful as that contained within CSS, no book could hope to cover every possible way of combining properties and effects. In the course of exploring CSS, you may encounter seemingly strange behaviors in user agents. With a thorough grasp of how the visual rendering model works in CSS, you’ll be able to determine whether a behavior is a correct (if unexpected) consequence of the rendering engine CSS defines, or whether you’ve stumbled across a bug that needs to be reported.